Getting a new piece of jewelry is always a nice idea, but when you find yourself a little bit more creative than usual, then you should take this to your advantage and come up with your very own piece of jewelry. 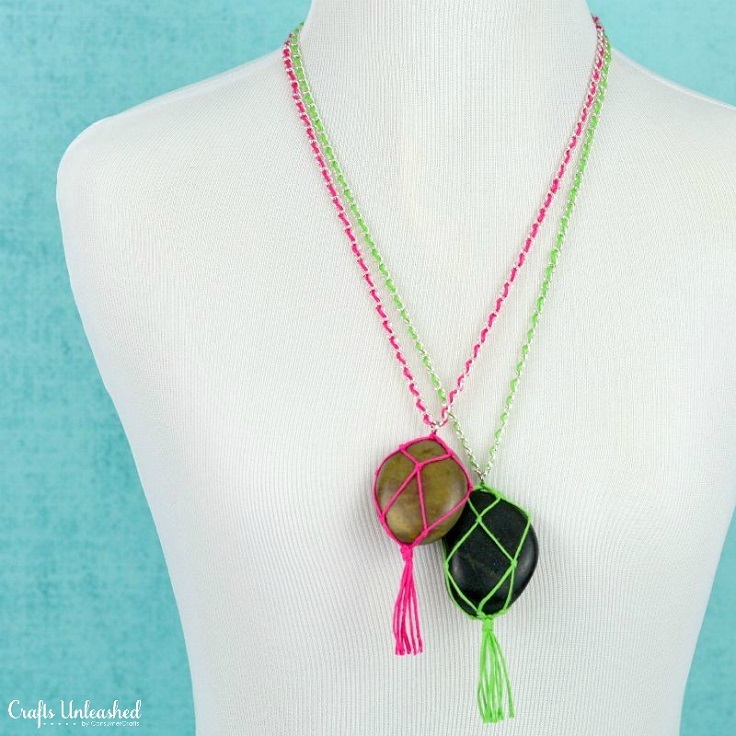 In this article we are showing you ten amazing necklaces that can be made in no time, and most of them are really budget-friendly. Plus, they all look so good that you will be able to give them away as gift as well. 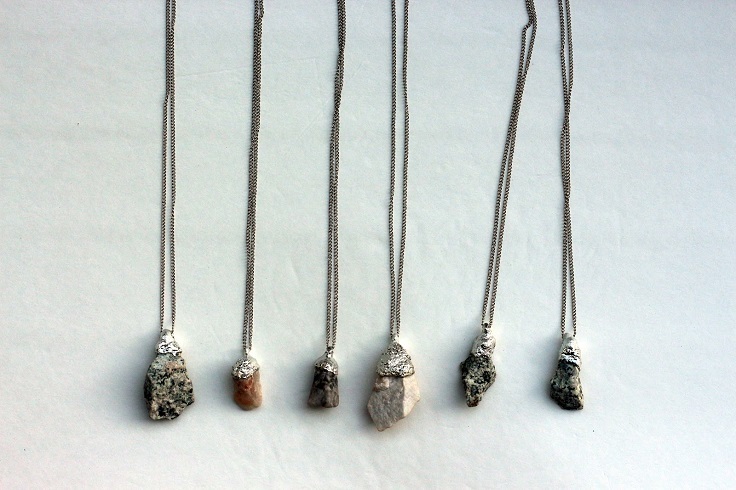 Who would have thought that small beach rocks can look so good in a necklace? They look really cool and would especially fit into a boho style. To make your own raw stone pendants, you need teardrop or flat-backed stones, solid-core solder, a heat-resistant cup, drill and matching chain. They’d be a perfect DIY gift, right? If you’re a fan of macrame DIY projects, then this is definitely one you should consider. The bright colors used in this necklace are such an interesting detail to it, and they certainly give some happy vibes! To make your own macrame necklace, use brightly-colored embroidery floss, river rocks, 4 mm chain – 24-36 inches per necklace, 6mm split rings, lobster clasp, large eye needle, scissors and pliers. 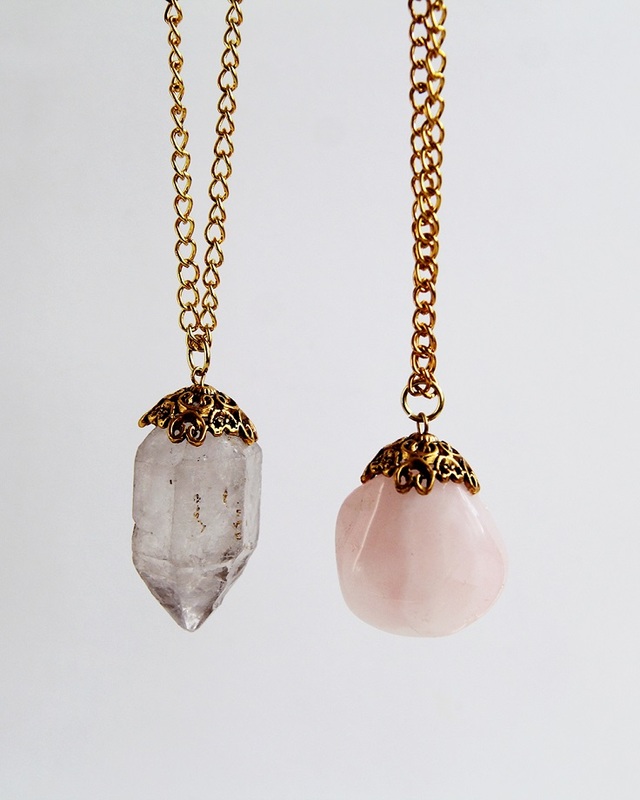 There’s something about crystals that make every necklace way more charming. There’s a certain magic in them for sure! This is a very easy project, and probably the most difficult part will be to choose a crystal rock when there’s plenty you love. Besides them, you will also bead cups, eye pins, necklace chains, and glue E-6000. Here’s a creative way to include your inner artist into the making of a necklace. 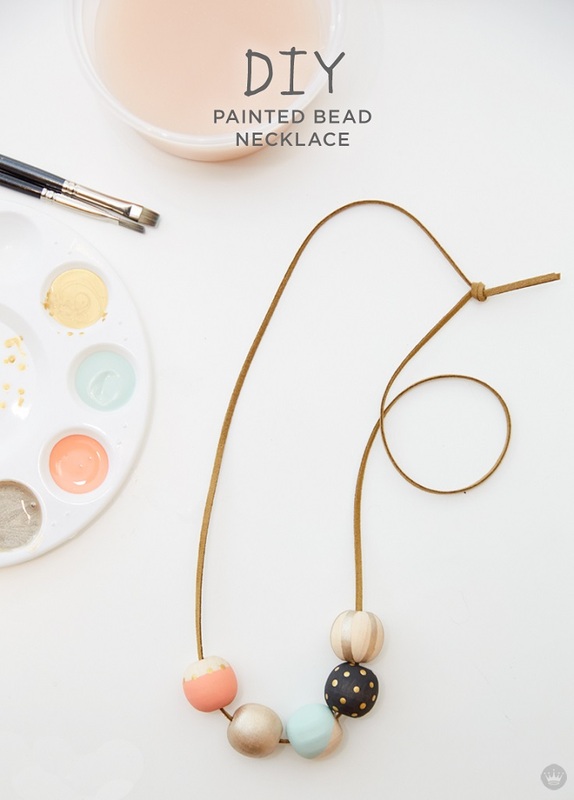 If you like painting, then this is the project for you because it requires painting wooden beads. This is really fun thing to do and you can do it together with children – some creative family time is always a good idea! You will also need 1 yard of leather or suede cording, masking or painter’s tape, paint palette of colors of your choice and paintbrushes. 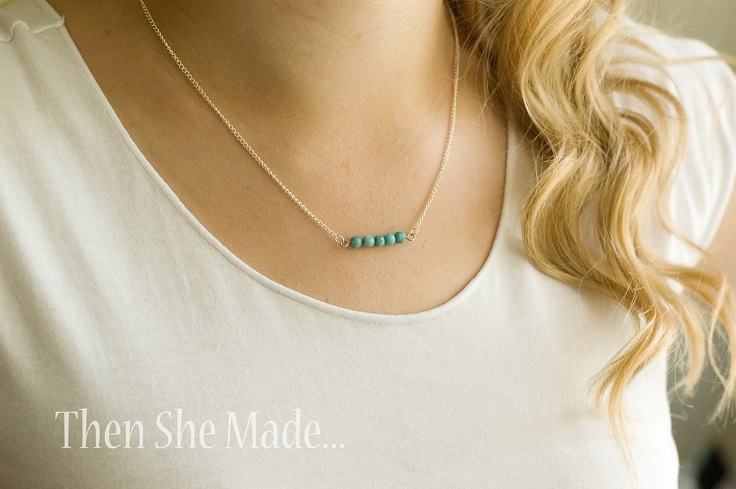 A simple necklace can mean pretty necklace too, and this one is a real proof for that. Sometimes you don’t need much to create something really awesome! If you’d like to create this necklace at home, here’s what you need: head pin with a loop on the end, 5 small beads in the color of your choice, 2 piece of chain, 4 little jump rings, medium sized jump ring and lobster claw clasp. Wow, this necklace really made us wanting it ASAP! This isn’t the easiest or the quickest DIY project on the list, but it looks amazing and it’s worth every minute of your time. It’s very elegant and you can wear it in any occasion! 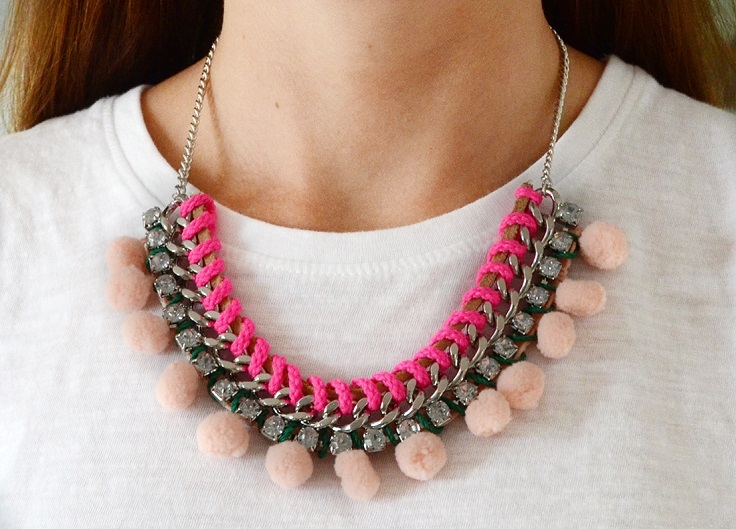 For this project you need lead landing chain and gemstone combo, chain in a thinner size, neon pink cord, suede cord, green cord, pink pom pom trim, 4 jump rings, a lobster clasp, glue, scissors and pliers. 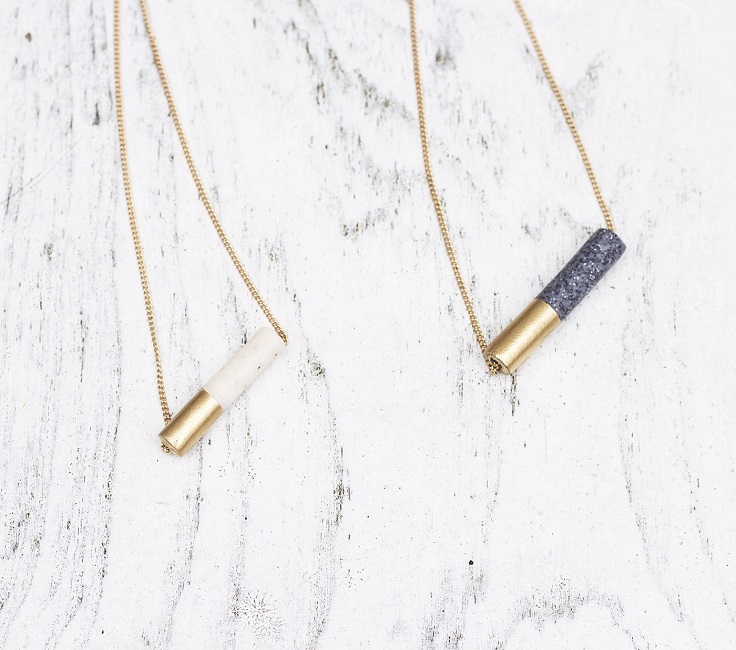 How cool are these tube necklaces? We’d love to have one of this right away! They’re such an easy DIY project and thanks to looking that good, the tube necklace would be a perfect gift for someone who loves jewelry. It doesn’t even look like a homemade necklace! Here’s what you need for the project: Fimo Effects block, neck chain, scalpel, cutting mat, skewer or cocktail stick, tape and gold metallic spray paint. Now, what we have here is one really unique necklace! This isn’t just an ordinary piece of jewelry, this is a necklace made out of lava stones that can trap essential oils inside them and you can take the scent with you wherever you go. To make your own, you need the following materials: lava stone beads leather/suede type flat cord, fold-over cord ends, wooden beads, needle nose pilars, bead wire, jump rings and jewelry clasp, essential oil and carrier oil of choice. 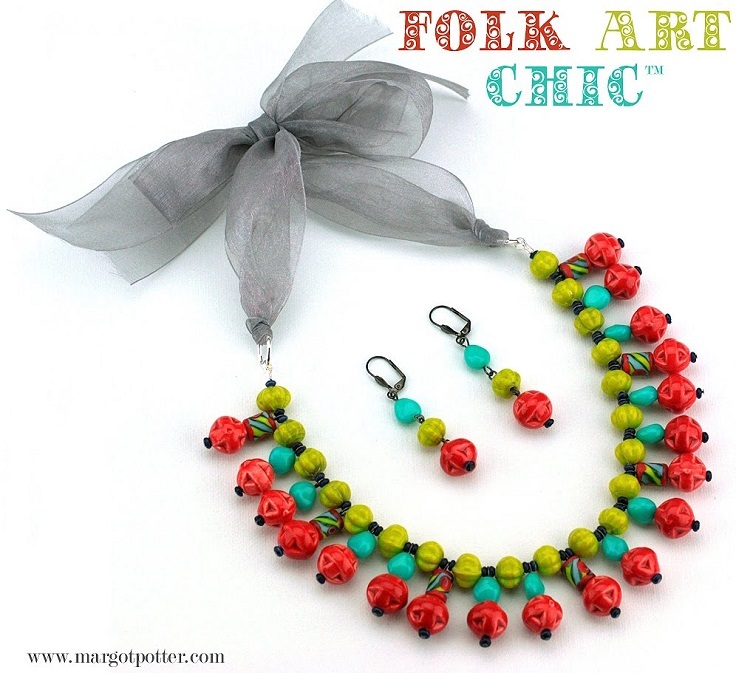 If you want to add some color pop in your jewelry collection, then we totally recommend you this folk-inspired necklace. It’s gorgeous, colorful and can make an excellent statement to any outfit, and it will certainly be the attention detail here! The ribbon contributes here a lot and it makes the whole necklace even more charming. We love it, do you? We’ve seen the stardom of tassel earrings in the past few seasons, however we have to admit as well that the tassel necklace makes a great statement too. Here’s what you need for this amazing necklace: 4 feet of gold jewelry chain, 3 small gold jump rings, medium gold jump ring, large gold jump ring, embroidery floss, thin gold jewelry wire, gold end cap, decorative acrylic ring, gold clasp and E6000 glue.